I love a clean and organized bathroom. What I'm not a fan of is actually cleaning the bathroom. Just ask my mom — one of my chores growing up was cleaning all three bathrooms in the house. I would seriously take at least four hours to clean all of them. Not to mention the breaks I would take during. Oh, and I would use a whole can of bathroom cleaner in each bathroom. 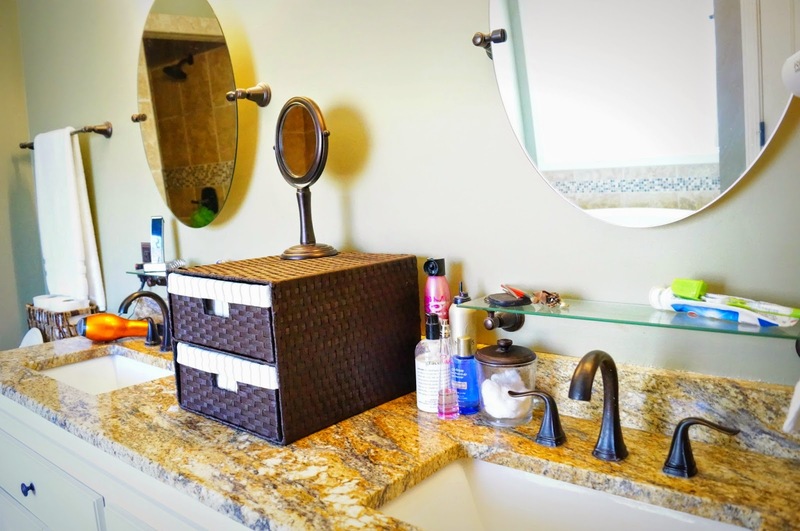 We keep our bathroom clean, but it's rarely organized. 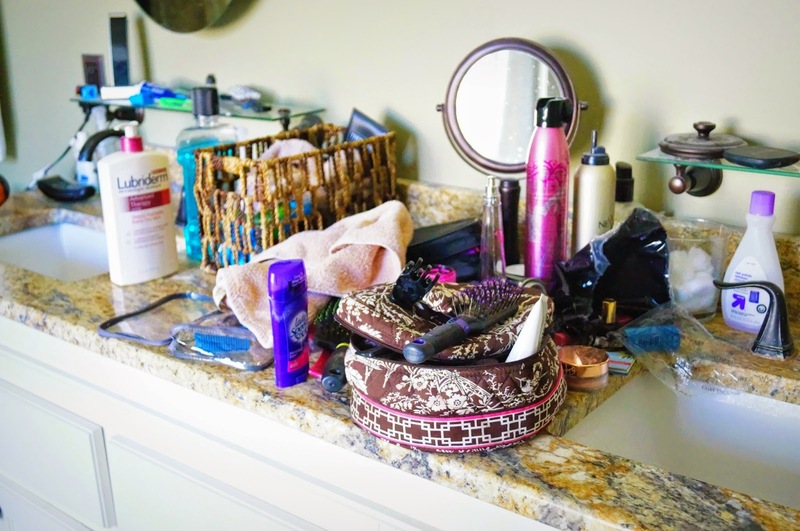 In other words, my husband would say it's just organized chaos — especially on my side. What can I say, some people love shoes and clothes, and I'm a sucker for hair and makeup products. While at Target last week I spotted something that I thought we could use in our bathroom. Something had to give, and it wasn't my stuff that was going anywhere. So the two-drawer lined wicker basket was purchased, and then sat on our dining room table for a week. You can tell how much I was dreading tackling this project. I gave the Mr the top drawer, and I took the bottom. And I still need to do some organizing in my drawer, but another trip to Target is needed for that. 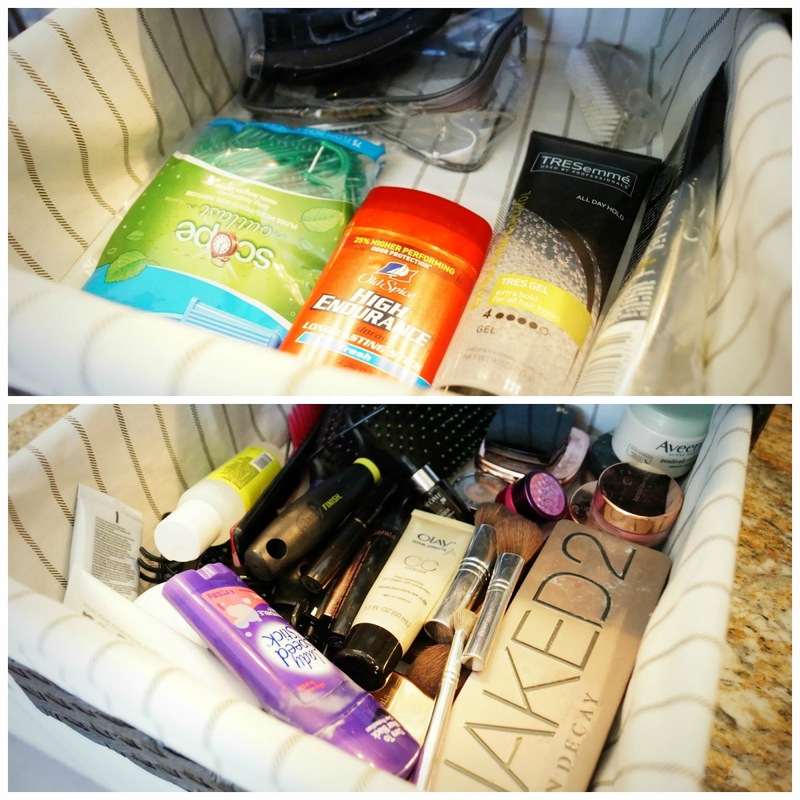 I'm hoping I can find little dividers to keep my makeup, makeup brushes, hair accessories and skin care organized. 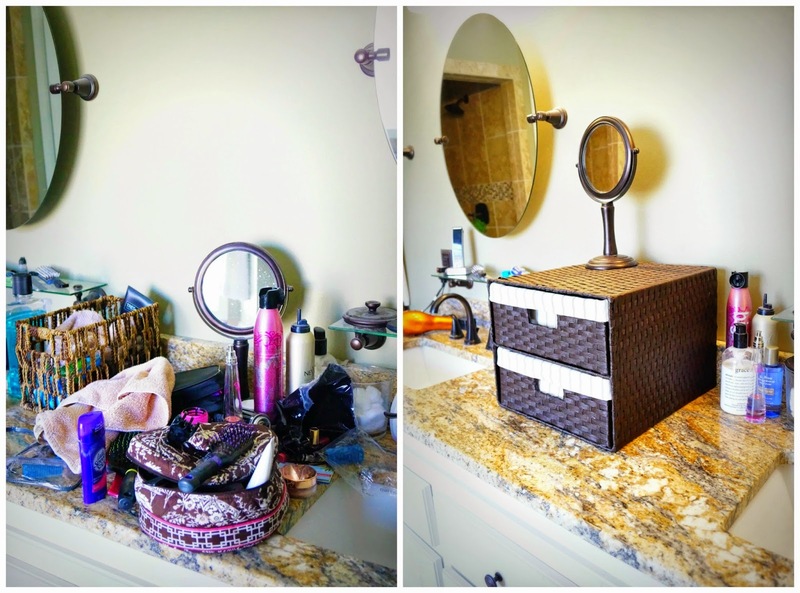 I'm proud of my little project, and even happier that the bathroom looks neater, and more organized. Thankfully AC kept busy watching her show and I was able to complete the project in thirty minutes. That's even going ahead and cleaning the bathroom, too. I desperately need to do this! I love this & might need to do this! i have drawers, but its just easier when its on top of the counter!! I need to go get baskets!! I need to do this in my cabinet. I just have everything thrown in a basket, but I can at least close the door. Still I have to dig to find what I want. Great job! I love some organization. Looks good!! Looks great!! I always laugh how much stuff women have vs men.